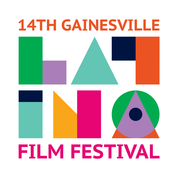 The Latina Women’s League has partnered with the Harn Museum of art to present the opening night of the Gainesville Latino Film Festival and the Museum Night: Noche de Museo. Join us for a festive and culturally diverse evening of art, music, performances and activities. This evening is sponsored by the UF Office Provost, Student Government and the Center for Latin American Studies.